The A-Series IMPP cone is designed with long aramid fibers to provide strength and durability that powerful bass sound requires. The revolutionary durable, yet lightweight IMPP cones significantly reduce mid-to-low range distortion and reproduce sound staging to a natural effect. The high-density compressed internal architecture is resilient, handles high power well, and transfers sound quickly. The result is a full-bodied, rich sound character with midrange depth that conventional IMPP cones cannot match. 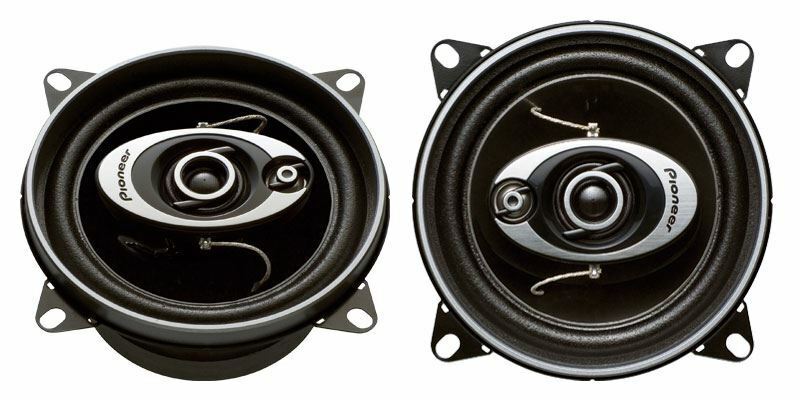 The mid-range is a 15/16" Light Weight Balanced Dome with Magnetic Fluid and includes its own neodymium magnet, for high-performance reproduction with low distortion, and the 3/8” Dome Tweeter delivers smooth, accurate highs. A custom-fit basket will fit both 4- and 2-hole mounting applications, making installation easy.